If you like to make your own beauty products or looking for gift ideas you can make, this is a MUST do! 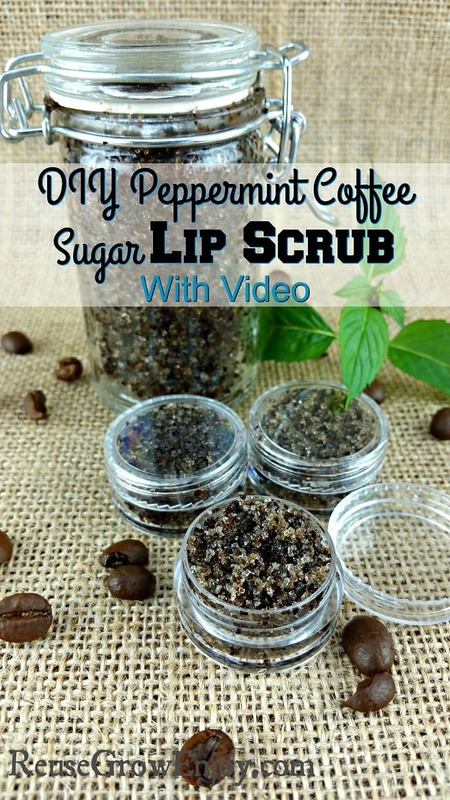 This recipe for peppermint coffee sugar scrub for lips is super easy to make. It takes just minutes to do. Plus when you use it, your lips will thank you. This peppermint coffee sugar scrub will leave your lips feeling like new. The coffee helps to perk them. The coffee and sugar mix help to scrub off dead skin. The peppermint not only smells and tastes amazing, it also helps to promote healthy skin. It does have a slight tingle when you apply to your lips, that is just all the goodness getting to work. The coconut oil in this mix helps to rehydrate the lips so that they feel smooth and moisturized. After you make a batch of peppermint coffee sugar scrub you can keep it for yourself or it also makes for a great gift. Simply add it to some containers seal it tightly and tie a bow around it if you like or add it to a gift basket and you are good to go. Below you will find directions on how to make it as well as a short video showing it being made. This recipe will make about 4 5 gram screw top containers and one 3 3/8 in x 1 3/4 in snap top jar. In mixing bowl combine coffee and sugar and mix well. Then add in the coconut oil and mix until fully blended. Now add in the peppermint oil and mix until well combined. Spoon mix into containers and seal tight. That is it! Using your finger, rub a small amount over your lips in a circular motion. Just rub lightly as you do not want to rough up the healthy skin. After about 1 minute of rubbing, wipe off with a dry cloth. Repeat daily as needed. If you liked this, here are a few other posts you may want to check out. Coffee also makes a GREAT face scrub.